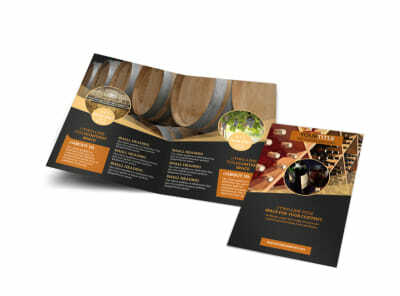 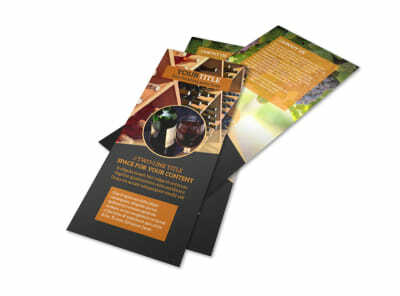 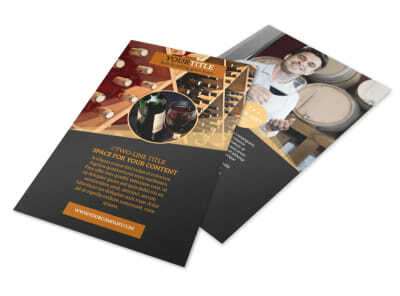 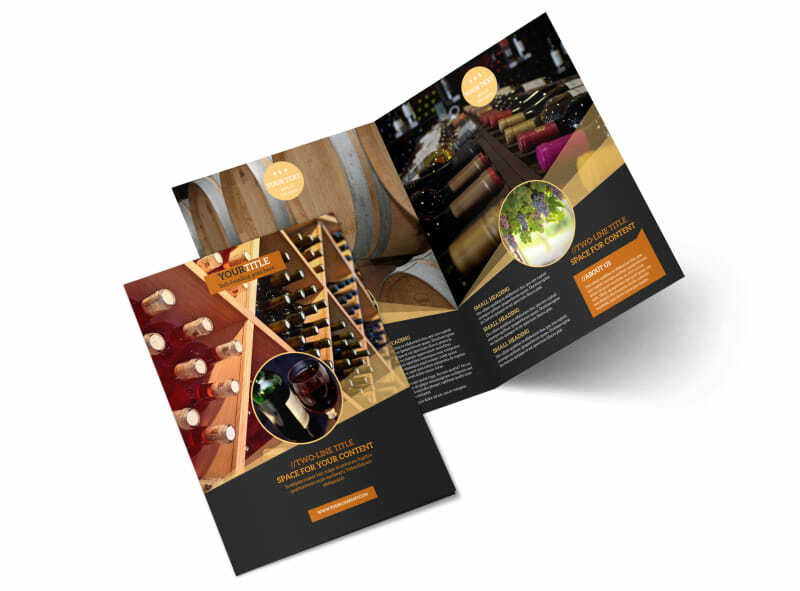 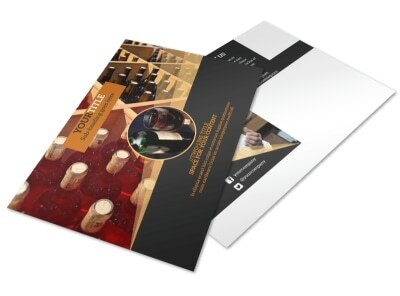 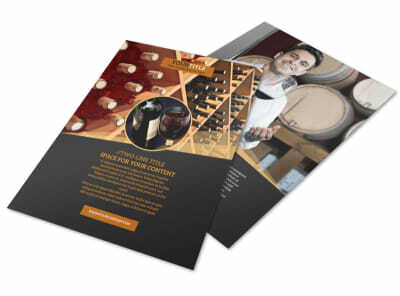 Customize our Wine Tour Brochure Template and more! 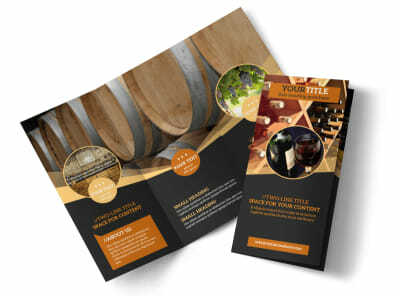 Give wine connoisseurs a taste of wine country with wine tour brochures meant to tantalize their pallet with details of your vineyard. 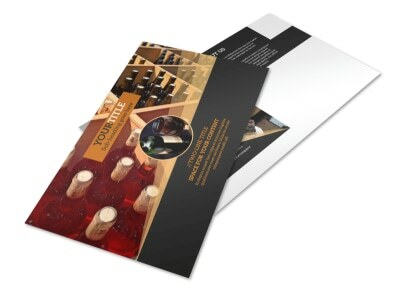 Customize a bifold or trifold template of your choice using our online editor. 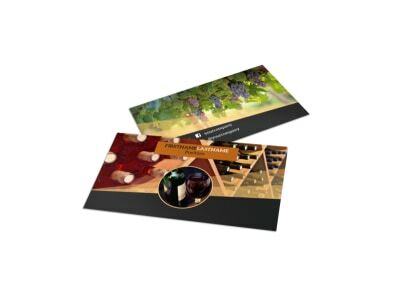 Add images of the grapes still on the vine or of the wine-making vats to highlight your compelling text about your vineyard, modify colors and other design elements, and send to our printers so you can get back to stomping grapes.